The garage door on your home in Guthrie, Kentucky, plays an important role in your home’s appearance and can either add or detract not only from its overall curb appeal, but also its value. This is why, if you’ve noticed that your door is looking worse from wear, you need the experts at 31-W Insulation to help you choose a new one that can not only restore your home’s attractiveness. We offer doors constructed out of metal, vinyl, or wood, so you can find an attractive door that meets your maintenance requirements without exceeding your budget. With numerous design options ranging from low maintenance, heavy duty steel panel doors to two-section, overlap wood doors and hundreds of style options in between, you will be sure to find a garage door that will complement your home while respecting your aesthetic sensibilities. Insulation options are available that will allow you to keep your Guthrie home’s garage at comfortable temperatures, keep out debris, and reduce the infiltration of exterior noise. Amarr® doors feature a flush-mount design to protect fingers, and tamper-resistant brackets that offer better protection, especially for the smallest members of your family. Additionally, when our reliable and highly trained 31-W technicians install your garage door, you can rest assured they will do so with care and precision, allowing you to enjoy years of dependable performance. 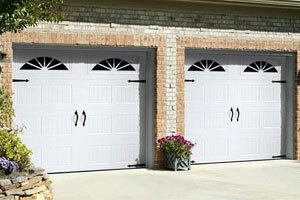 For more information about garage doors available for homeowners in Guthrie, KY, contact 31-W Insulation today. We will be happy to provide you with an assessment of your garage door needs and a free estimate for our services.